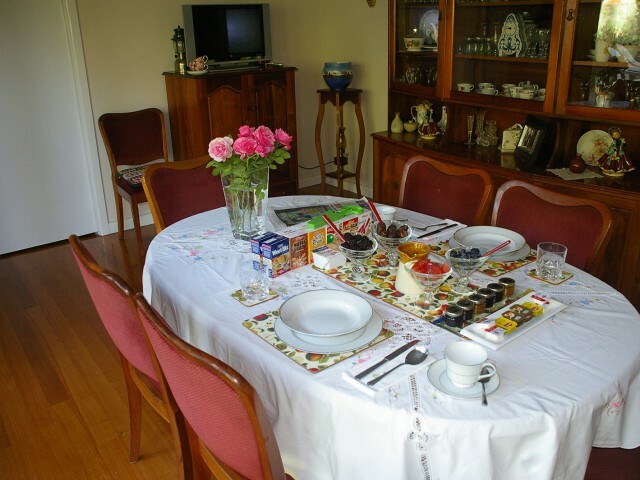 Nestled in a quiet and trendy area of Melbourne, we are gastronomically surrounded, our fully appointed quality Bed and Breakfast ticks all the boxes. 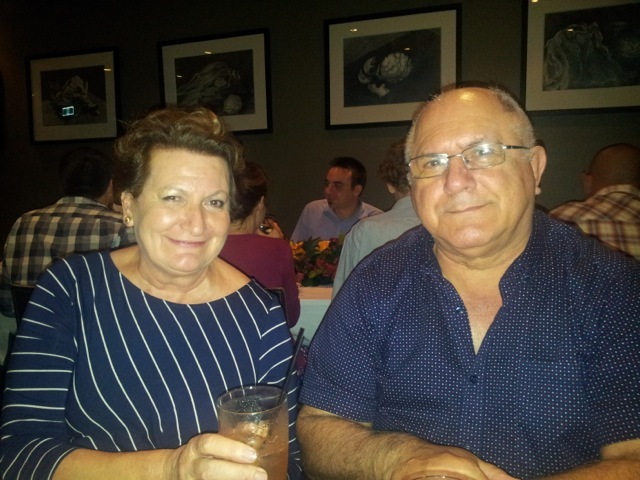 Established in 2004, we have hosted hundreds of guests, who have enjoyed our friendly unobtrusive manner. 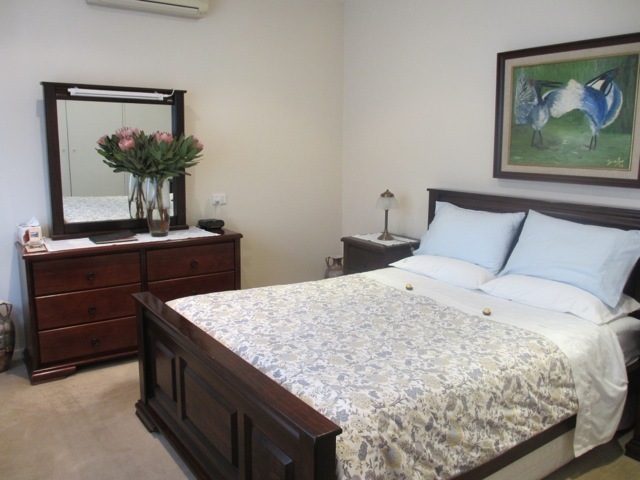 Experience our sumptuous breakfasts, and our modern private guest suite which consists of a separate entrance, queen size bedroom, ensuite, sitting room and private court yard. 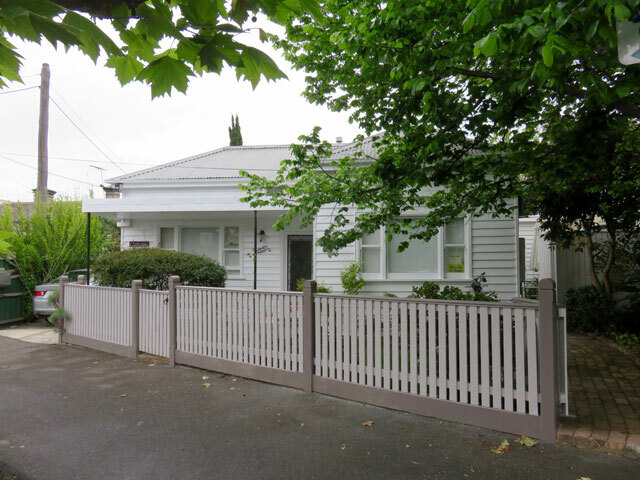 45 St Georges Road South, North Fitzroy, Victoria 3068. Deluxe queen size 3 roomed suite. 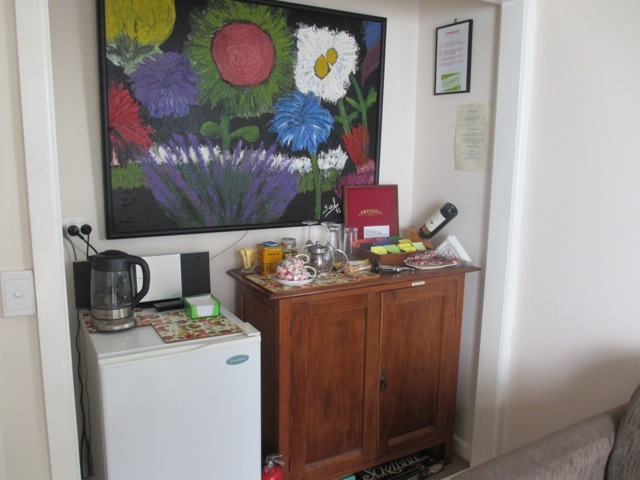 Facilities include clock radio, electric blanket, dressing gowns and first aid kit. Tea & coffee facilities, and mini bar. Free use of computer with wireless broadband. 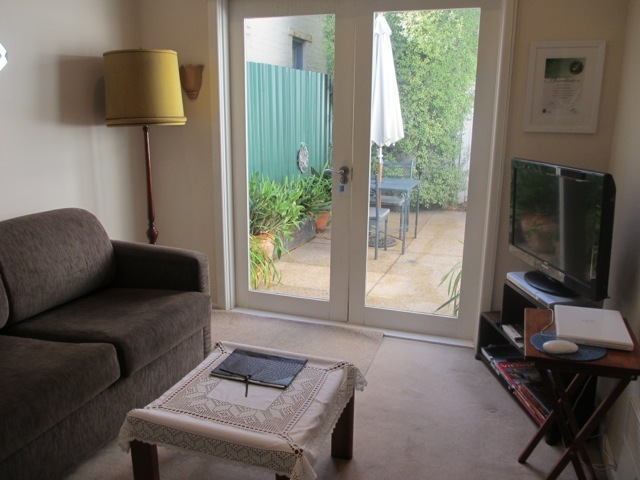 Private sitting room including stereo, books, magazines, movie library, TV and DVD player. Less than 3km from Melbourne city we are surrounded by cafes, pubs and restaurants, we also have Fitzroy bowls, tennis, and the magnificent Edinburgh gardens very near by. Close to Melbourne central, for shopping, theatre, and more dinning. Very close to Melbourne Exhibition building, and Melbourne Museum. 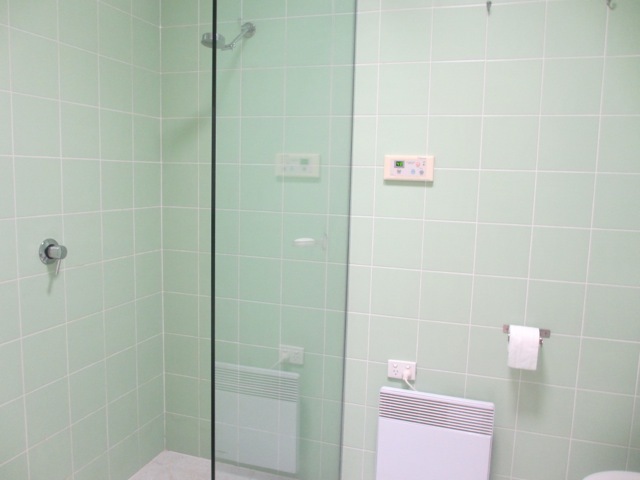 Easy access to Melbourne airport. Book an accredited chauffeur for your airport transfer at cab prices by appointment with host. Tram No 96 is 150 metres from our home stay and this tram passes Melbourne Museum, The Melbourne Exhibition Building, St Vincent’s Hospital, Princess Theatre, Melbourne Centre with easy access to shops, theatres, restaurants, Etihad Stadium, Crown Casino, Melbourne Exhibition Centre, Albert park, South Melbourne market, St Kilda Beach, and Acland Street St Kilda. Tram No 11 is 250 metres away and passes the shops, cafes and pubs of Brunswick Street, St Vincent’s Hospital, St Patrick’s Cathedral, beautiful Collins Street, ASX, banking and business district, and concludes at Victoria Harbour. Balance is payable on Arrival in Cash, EFT, Visa or MasterCard. 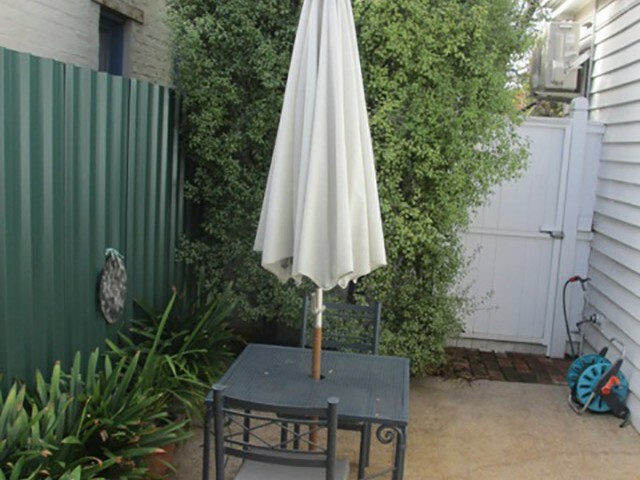 We are the least expensive quality accommodation in Melbourne. We believe it’s not all about money. However… The tariffs advertised apply at all times, discounts will be given for stays of one week duration, or longer. Discounts will be allowed for repeat clientele. If guests make any Last minute changes or cancellations to their accommodation, we reserve the right to charge the full rateat all times. Please do not check out late, (10AM) as we only have one suite, and we need to prepare for incoming guests. Thank you for you cooperation. 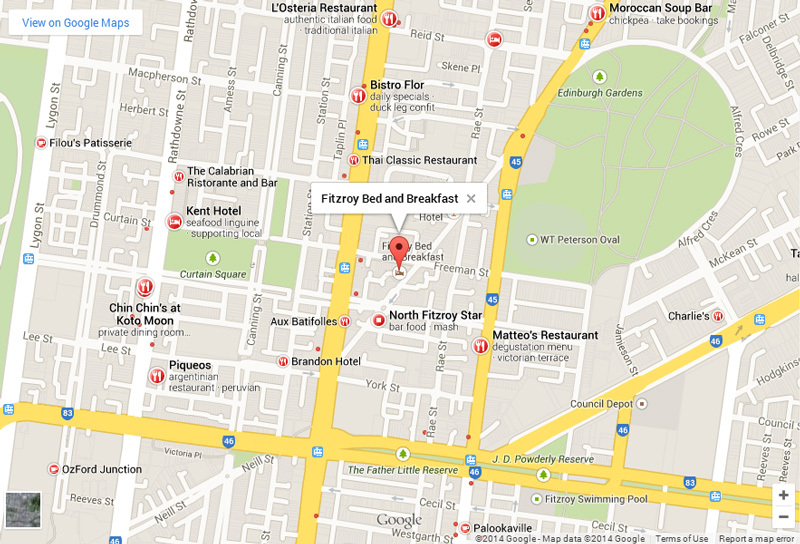 Fitzroy Bed and Breakfast is rated excellent on Trip Advisor and Flipkey. All our reviews have been authenticated by Travel Advisor.